We provide professional tree removal in Lansing, MI with over 25 years experience. Removing tree safely is our specialty especially those that are 60 ft and at 36 inch diameter at the base or under, by using our bucket truck these trees will be handled quickly & safely. As the leading company we have the capital to invest in the necessary equipment, which makes every job more efficient and affordable for you! All crew members are properly trained with safety being the number one priority. The owner, with over 25 years experience, oversees all projects. We have many satisfied customers & great reviews. If any concerns arise our crew members will address your needs and adjust to meet your requirements. We strictly follow the state & national guidelines of safe tree removal. We can also include stump removal as well. We service East Lansing, Okemos, Delhi, Windsor, Grand Ledge, Charlotte, DeWitt, Meridian, Mason, Holt, Dimondale, Springport, and Eaton Rapids. Up in the sky we can see all across the great city of Lansing, removing trees from the top down so that everything is removed with the utmost safety in mind. Our bucket truck allows us to easily reach any point in the tree and take down whatever branch necessary. When you are in need of emergency tree removal in Lansing, we got you covered. We have the hardest working crew in the city that will get that tree out of your yard for you as soon as possible. We take emergency requests as top priority, many times we will make special arrangements for you to get the job done on the same day if possible. We build our reputation by making our clients happy with our service. 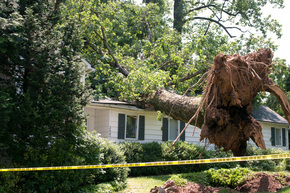 We understand emergency storm damage is quite upsetting for homeowners, especially if property damage has occurred. We take these requests as opportunities arise and shine by providing superb customer service. Let us show you what Lansing's best tree removal service looks like. We have the experience to tackle most any tree in Lansing. We pride ourselves as the safest & most professional tree removal company in the greater Lansing area. This is why we will not low ball bid, which more often than not, lowers safety standards and increases rushing to complete the job. This is a big problem in this industry, however, our desire is to give you the service you deserve. We want every tree "on the ground safe and sound." 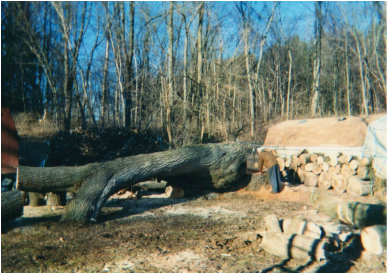 Every tree removal job is based on an accurate assessment on what personnel, equipment, and processes will be required so the tree is taken down safely. Are there any power lines in the way or other obstacles? These are all things that we must carefully analyze to ensure no one or nothing gets damaged in the process. Even if the job takes us more time, it is never a hassle. We will always opt for the best option which is really the safest option.